James Clyde Crader, 92, of Marble Hill MO., passed away at the Missouri Veterans Home in Cape Girardeau, Mo., March 25, 2016. 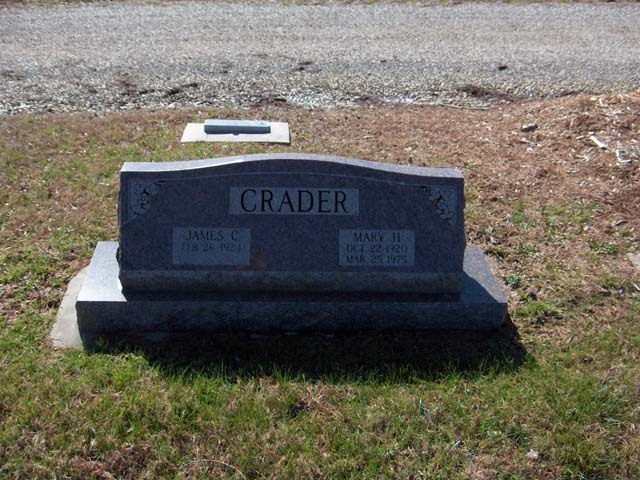 Born February 26, 1924, in Delta MO., he was the son of the late Samuel and Hattie Roberts Crader. In 1947 he married Mary Schuler. She preceded him in death on March 25, 1975. He married Norma Schlobohm on November 1, 1975. She passed away on November 14, 2013. James owned Crader's Gas Station and Crader's Market during the 1950's and 1960's. He was also a talented carpenter and moved to Alaska during the late 1970's, where he taught high school shop small engine repair and wood working. He was a Navy veteran of both World War II and Korea. He is survived by two sisters: Wanda Hall of Marble Hill and Dorothy Richards of St. Louis and numerous nieces and nephews. An infant daughter, and ten brothers and sisters also preceded him in death. Visitation will be at Hutchings Funeral Chapel in Marble Hill, on Tuesday, March 29, 2016, from 5:00 to 8:00 PM. Funeral services will be Wednesday, March 30, at 11:00 AM at the chapel. Burial will follow in Bollinger County Memorial Park Cemetery, with Rev. Fred Ritter officiating.